Brad Smith is the first companywide president at Microsoft since Rick Belluzzo resigned in 2002. Microsoft’s top lawyer, who helped transform the software giant from aggressive bully to a more mature corporate citizen, is now the company’s president. Smith, 56, is a Microsoft veteran, having joined the company in 1993. He was promoted to general counsel in 2002, in the midst of Microsoft’s battles with federal trustbusters, industry foes and international regulators. While Smith’s predecessor, William Neukom, rarely shied away from a fight, Smith became Microsoft’s peacemaker. He brokered deals to settle many of the most contentious cases, shelling out billions in the process. Smith grew up in Wisconsin, bouncing around the state as his father, a manager at Wisconsin Bell Telephone, took different posts. He went to high school in Appleton, where he was the editor of his high-school newspaper and student government president. He earned a bachelor’s degree at Princeton University and his law degree from Columbia Law School. 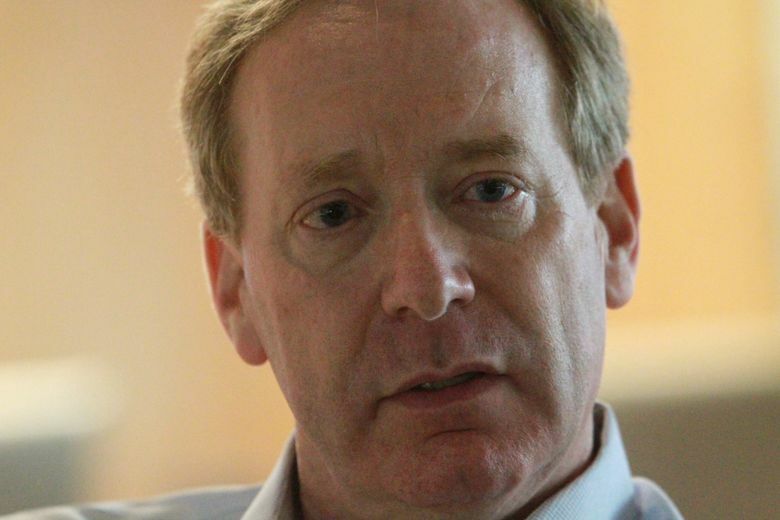 After settling much of Microsoft’s most acrimonious litigation, Smith has gone on to become the face of its public-policy efforts. He’s been Microsoft’s top executive on such matters as government surveillance, intellectual property, and computer science education matters. Smith and Nadella declined to comment on the promotion.